Croatia is an exciting country to visit. It boasts centuries-old history and places of interest from the past to visit. It’s situated in the magical Adriatic and decorated with over a thousand islands – of which only 50 are populated. 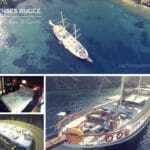 There are great choices in destinations and certainly ideal ports to embark from on your Croatia gulet cruise holiday. 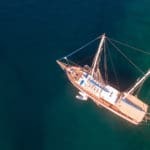 While some of the itineraries will be a return trip, there are routes available for one-way cruises on your gulet hire. Island hopping is the main course of the route. So if your heart is set on doing some island hopping, then you have found one of the best places this side of the globe. The main harbors from where gulet cruises in Croatia begin and end are Split, Dubrovnik, Zadar, and Rovinj. The more popular and easily accessible ports are Split and Dubrovnik. Should you find it difficult to find direct flights to these cities, then an alternative would be to fly to Zagreb and then take a domestic flight to these coastal places. With any one of the available itineraries, you are not limited to just gulets. 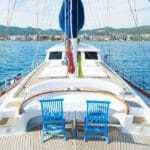 Other yacht charters in Croatia are available as well. 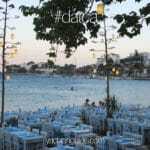 These routes have been planned and have been successful for these exciting Dalmatian coast yacht holidays.